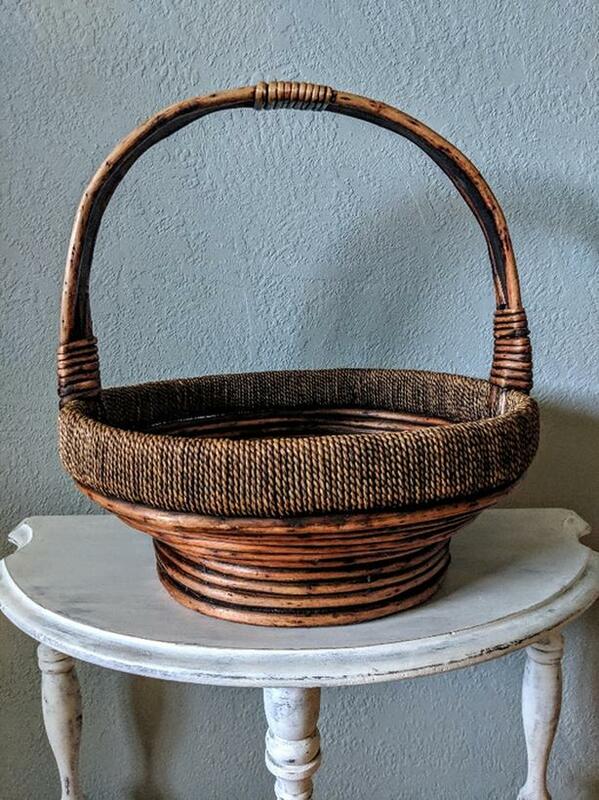  Log In needed $20 · Beautiful Large Wicker / Cane Basket with Handle in EXCELLENT CONDITION! Beautiful Large Wicker / Cane Basket with Handle in EXCELLENT CONDITION! Lovely rich rustic chestnut finish. Attractive design. A stunning basket for your buffet table to hold breads, or use as decor to hold decorative balls, etc. A good sized basket measuring approximately 14 3/4" diameter x 6" tall (not including the handle). Perfect for any decor - especially nice for a rustic, organic, modern home. Cross posted.